Life can be so tricky sometimes can’t it? Doing things that are off the beaten path is sometimes scary, and different than the norm, isn’t easy. When we have to stand up for ourselves… when we need to change something that will ruffle feathers, even our own! When we need to do things differently, it can feel exhausting. I get life’s roadblocks. We look at them and say, do I go over it? Under it? Around it? Ignore it? Sometimes doing nothing feels like the only thing we CAN do… procrastination at its best. Through it is always the answer… boy oh boy the journey can feel lonely. We need inspiration, it brings us courage, we… you and I, other OCP (organizationally challenged people) we need to connect and not go it alone. With direction & a plan we get focused and find freedom to live happy! The life we want to create starts at home. It starts with a routine you create. You, the master of your universe. Routines sound so confining but they are so freeing! We don’t need perfect to begin, or be clutter free and clean. 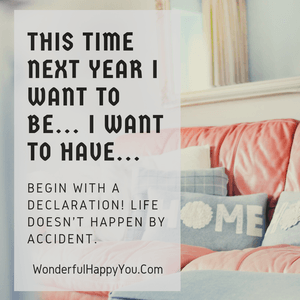 We need a plan, amidst the chaos… and actions to achieve clutter free and clean, implementing that routine one day at a time. Put you first today. Stop rushing. Enjoy your morning, your babies, your lunch, your commute, your dinner, your shower…. enjoy life.